For that person on your list who has everything—including their tickets to Nunsense!—here are some “nunderful” ideas to bring a smile to their face. Poor Sister Julia (Child of God) may have had better luck with her vichyssoise had she followed the recipe from the queen of French cooking. 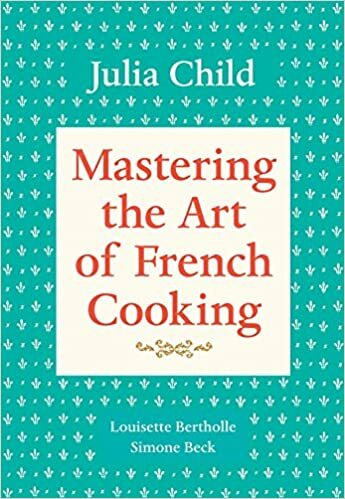 Learn from her mistakes and give this classic to the foodie in your life—or perhaps someone who maybe needs a little help in the kitchen. Get it here. 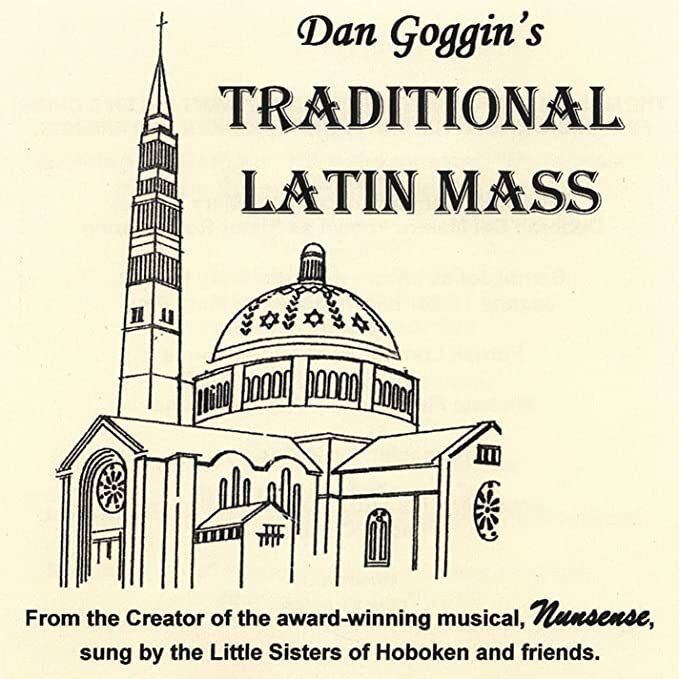 After the success of his silly sensation, the creator of Nunsense released this album—recorded by the Little Sisters of Hoboken and friends—to raise money for the Dominican Sisters who taught him. Get it here. Give them “something wonderful” to curl up with this holiday season, then treat them to “some enchanted evening” this spring at A Grand Night For Singing. 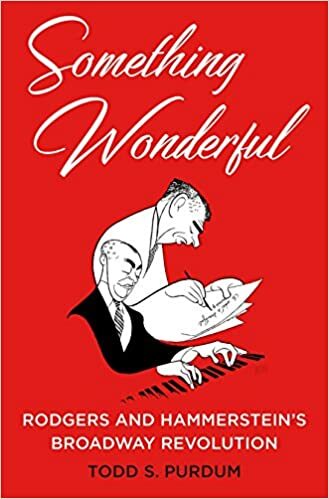 From Amazon: Todd S. Purdum’s portrait of these two men, their creative process, and their groundbreaking innovations will captivate lovers of musical theater, lovers of the classic American songbook, and young lovers wherever they are. He shows that what Rodgers and Hammerstein wrought was truly something wonderful. Get it here. 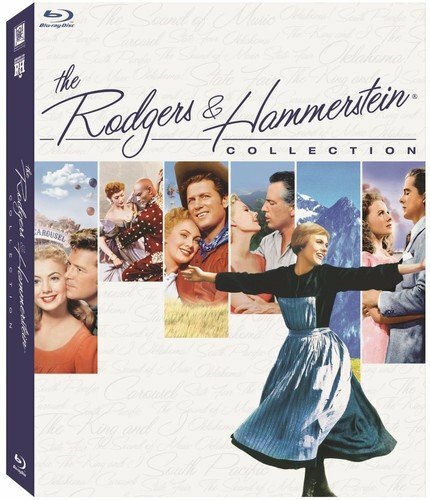 Celebrate the world’s most beloved movie musicals and take a nostalgic trip down memory lane with this collection of Rodgers & Hammerstein classics before hearing some of their most enchanting tunes on our stage this spring. Purchase it here. There is no shortage of ideas for fans of Stephen Sondheim! Before taking them to see Into the Woods next summer, boost their experience with one of the great gift options! 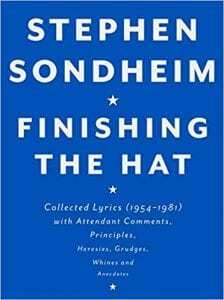 From Amazon: Along with the lyrics for all of his musicals from 1954 to 1981…Sondheim treats us to never-before-published songs from each show, songs that were cut or discarded before seeing the light of day. The second installment in the collection, Look, I Made A Hat, is also available. Get the complete set here. 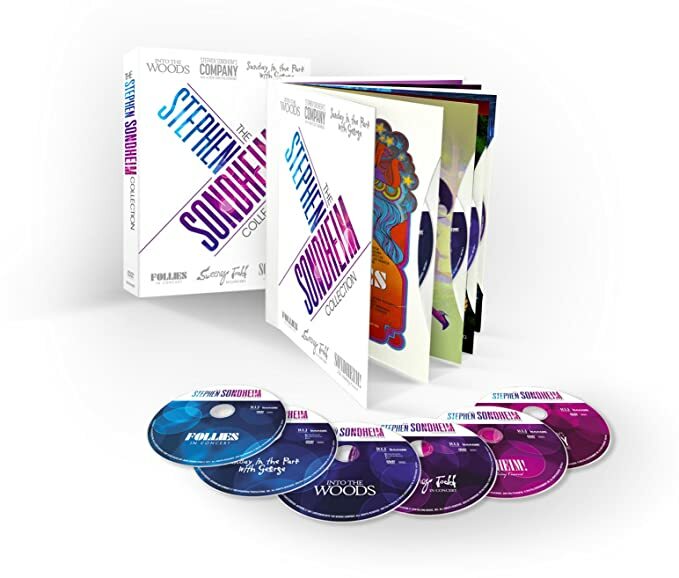 In this DVD collection, lovers of Sondheim can revel in live stage recordings from the past three decades, including the 1990 Broadway production of Into the Woods featuring Tony Award-winners Bernadette Peters, Joanna Gleason and the rest of the original Broadway cast. Pick it up here. These gifts will have their recipients tapping there their toes with glee—not to mention in anticipation for next summer’s production of Footloose! 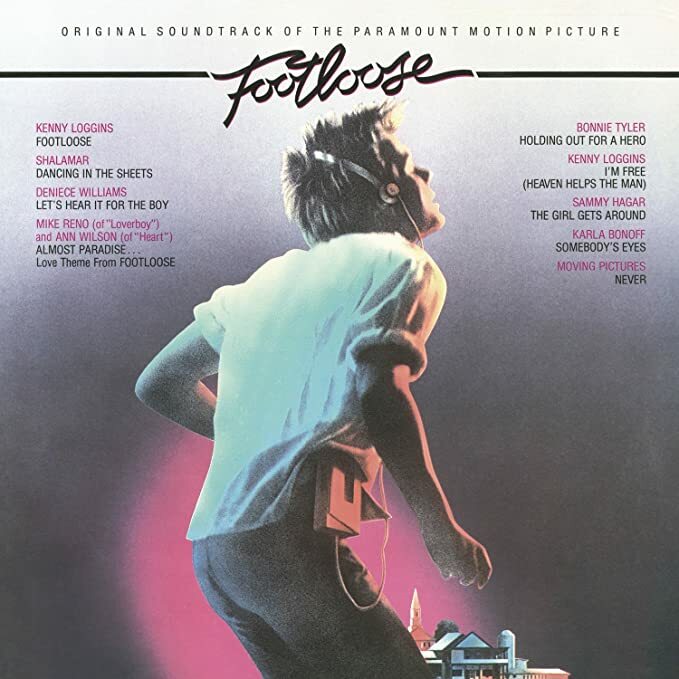 The unforgettable soundtrack to Footloose topped the charts for 10 weeks in 1984, and spun off three Top 10 singles—what better way to enjoy the original recordings than this remastered release on vinyl? Pick one up here. Bonus idea: Sweeten their listening experience with a new record player! 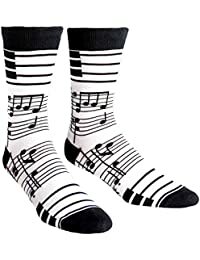 Keep their tootsies warm while they dance the wintery-woes away in a pair of funky, fantastic socks! Support a local business with a pair from Sock It To Me! Get them here. Whether it’s a whirlwind romance, a new hobby, or tickets to an inventive musical like Once, these gifts are great for the people on your list who are always up for an adventure. 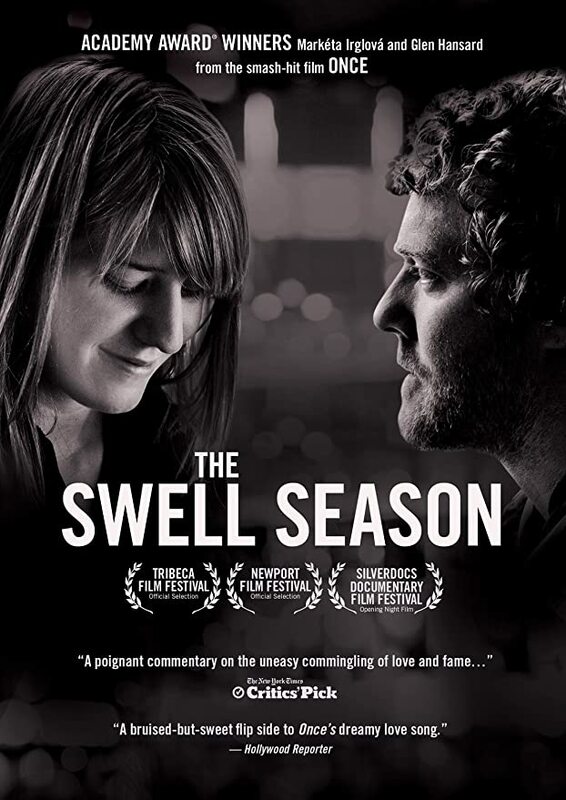 Fans of Once will be captivated by this documentary following Glen Hansard and Markéta Irglová – the duo behind the Oscar-winning film and its stage adaptation. This film takes a look behind the scenes at the cost of fame, and the grueling two-year world tour that threatened to destroy their remarkable bond. Get it here. If someone on your list aspires to be the next Glen Hansard, give them the nudge they need with this starter pack—guitar included! Find it here. Our spring and summer camps, and summer children’s productions can seem so far away as the days grow shorter and the weather cools down. 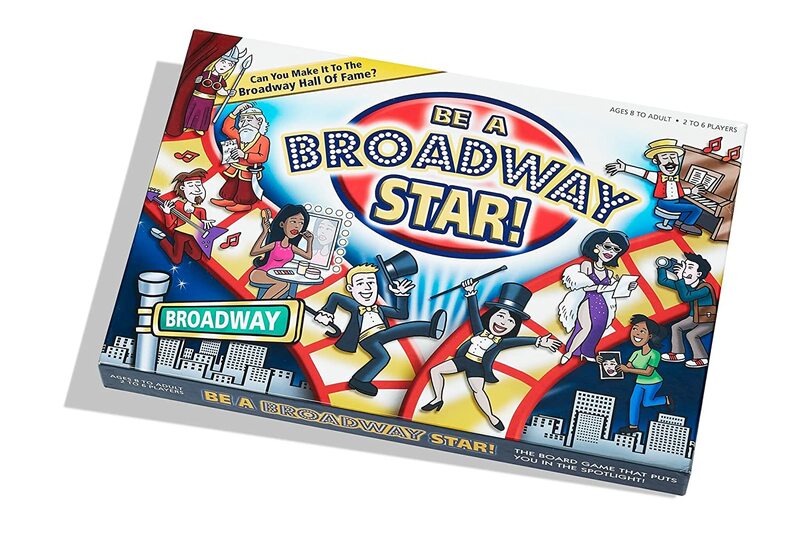 But we’ve found some fun gifts for the “Broadway Baby” in your life to keep them busy once the unwrapping is done! Do you have what it takes to make it all the way to the Broadway Hall of Fame? Find out in the board game that puts YOU in the spotlight! Children 8 and up will be singing and dancing their way to the finish line—whoever gets the most fans wins! Learn more. Kids (and adults!) 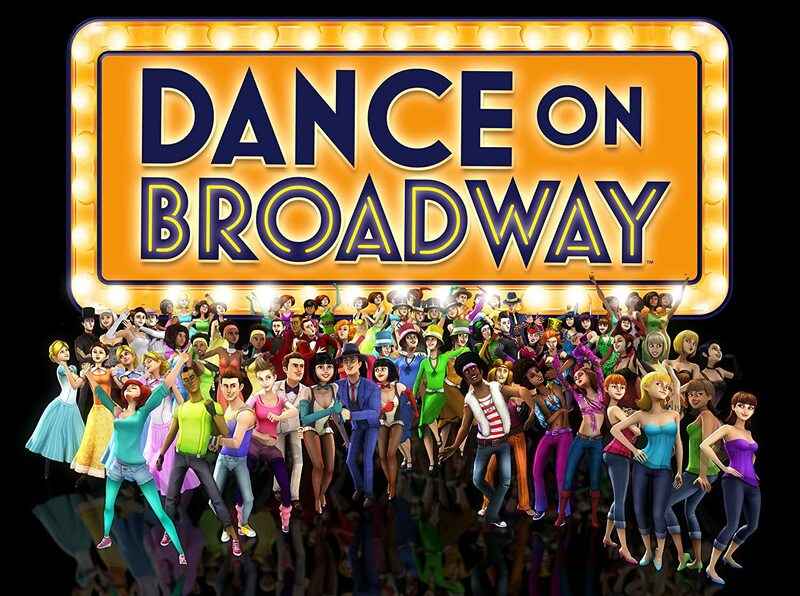 will have a great time performing 20 authentic Broadway-style choreographies from the most beloved showtunes, including ‘Cabaret’, ‘My Favorite Things’, ‘Dreamgirls’, ‘Roxie’, and many more! Learn more. P.S. Camp registration opens on December 5 and spots fill fast! Register the rising stars in your life for the ultimate musical gift! Our staff shared some of their favorite gifts to give and receive during the holidays (or all year round!). Whether you’re shopping for a colleague, a family member, or the neighbor’s dog, these suggestions have got you covered! 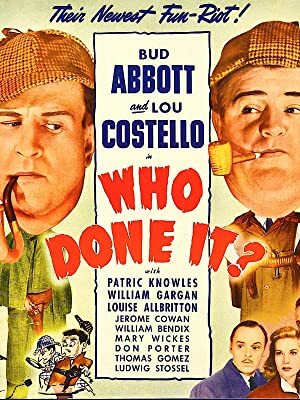 While directing A 1940s Radio Christmas Carol, I kept being reminded of the hilarious Abbot & Costello comedy-mystery Who Done It? with two soda-jerks and wannabe radio stars who get swept up in a murder mystery. I highly recommend it. Get it as part of a film collection here. It’s the book that inspired the musical no one will stop talking about. Don’t get burned out on Hamil-mania though! 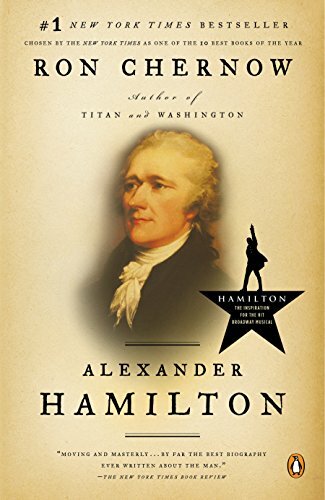 This historical biography reads more like a novel, and Ron Chernow’s attention to detail, paired with his occasional and charming literary flourishes, make for an engaging read that is as much about Hamilton the man as it is about America the country. I was shocked by how many lines of the show are ripped verbatim not just from the book, but from the mouths of the revolutionaries themselves. Getting a new copy on Amazon gets you a Kindle version too, which is my preference because the book is thick. Get a copy here. I spend half the year in tights, and my favorites are the microfiber version from We Love Colors. They fit great, come in 51 colors, and last forever. (They make kid’s sizes, too.) I just organized my tights drawer into ROYGBIV order, which is both very satisfying and shows me which colors I need to put on my list this year! Get a pair (or four!) here. 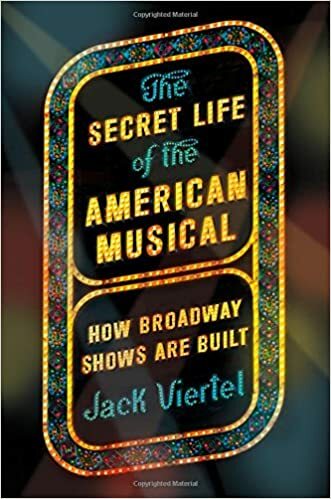 One book I have read this year and really enjoyed was The Secret Life of the American Musical by Jack Viertel. It is a highly entertaining look into the process of creating a musical from beginning to end, as well as an in-depth look at the shows that work and the shows that don’t. From Oklahoma to Hamilton and beyond, this book is interesting and funny and makes you feel as though you have insider privileges to the business of Broadway. I highly recommend purchasing the audiobook on Audible. Get your copy here. My Leatherman has had a part in building every Broadway Rose show during the last two years. This is the one I have and I use it every day. Pick one up here. 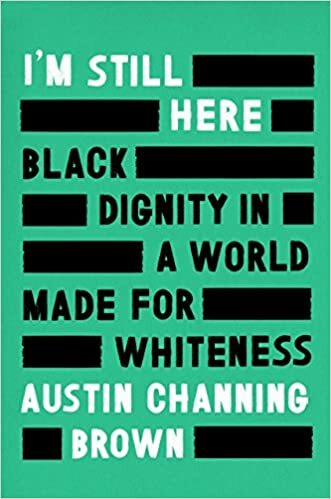 This year, I’m putting I’m Still Here—a powerful account of how and why people’s efforts for inclusion so often fall short of our words—on my wishlist. Part of my work at Broadway Rose is making sure that our efforts to be more inclusive are authentic, and narratives like this one will help me enrich my contributions both as part of the Broadway Rose team and a member of our community. Get a copy here. P.S. You can never go wrong with getting someone a gift certificate for a massage. Remembering you have one when you’re at peak stress levels and rubbing your back against the corner of the fridge like a bear is the BEST. 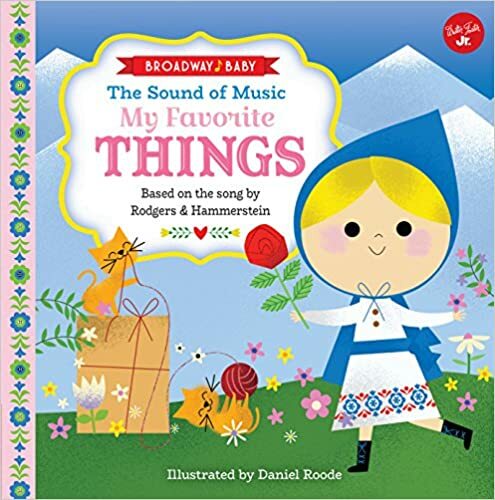 I can’t wait to teach our 16-month-old son the beloved Rodgers & Hammerstein song ‘My Favorite Things’ with the help of this adorable board book! His Christmas stocking will surely include this surprise, and perhaps the other title in this series, “Do, Re, Mi,” as well. Get yours here. For stocking stuffers, I always think of lottery tickets or gift cards for car washes. My fave is Kaady Car Wash (there’s one off of Terwilliger Blvd. that I love.) Get a gift card here. 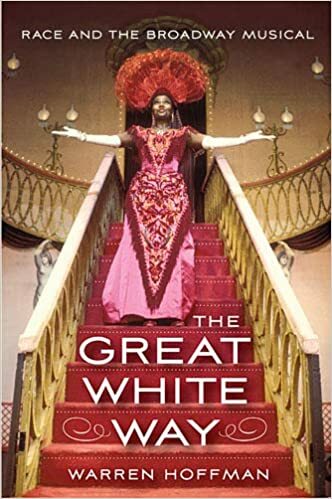 On my wishlist is The Great White Way by Warren Hoffman. As a white woman living in today’s society, it’s important that I always be learning about different perspectives and worldviews—and the ways in which the work I do can impact and support them. Get it here. This brush is the most amazing pet brush ever put on this earth. I have two cats with very thick coats and every week when I brush them, I collect enough hair to cover a whole other cat. It’s like magic and works better than any other brush I have ever used! Pick one up here. *This page uses affiliate links, which means if you purchase some of these items Broadway Rose may receive a small percentage of the cost. Thank you! 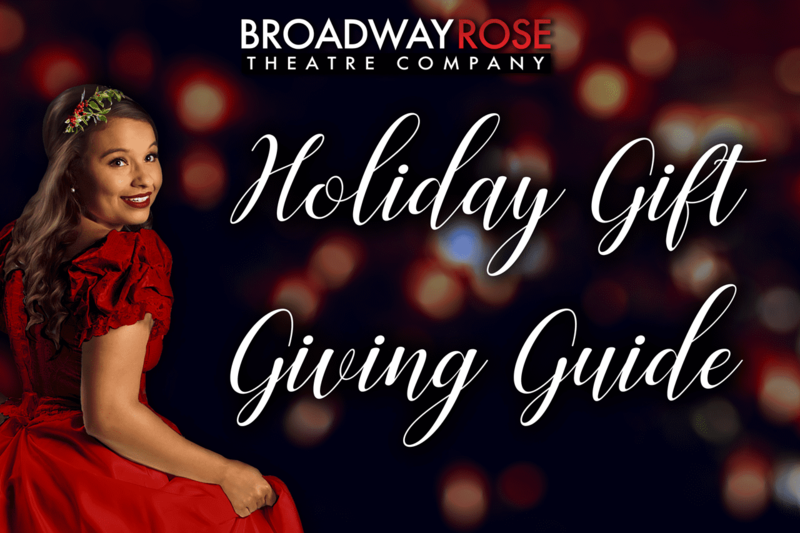 Looking for other ways to support Broadway Rose with your gift giving? Visit smile.amazon.com and choose Broadway Rose Theatre Company as the nonprofit you’d like to support with your purchases, or consider a donation in the name of a loved one!